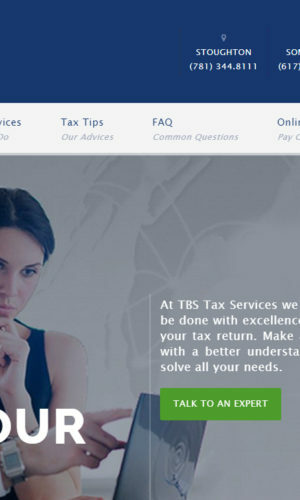 TBS Tax Services is a small local business that has been on the market for over 10 years, striving to help everyone in the community who face trouble with the IRS and other forms of accounting difficulty. We have a dedicated and highly experienced team of professionals located across our 3 Massachusetts locations who are ready to give their time to helping you. Being a small business ourselves, we aim to not only helping individuals, but businesses both big and small, as well. We pride ourselves in having a very diverse client base, with customers coming from every corner of the world seeking our assistance with their accounting headaches that they might have, so don’t be shy to contact us with any questions about our services or more about who we are!